One small conversation can sometimes nudge us toward something big. 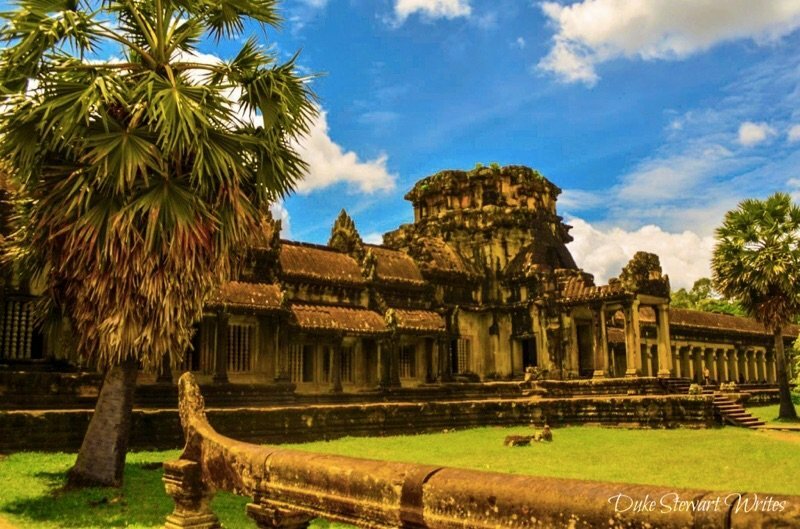 I once met someone in Korea who was on holiday from Cambodia. Working there for some time and teaching English, she focused mostly on helping with community development. Her description of daily life really captivated me. When referring to life in Korea, she said, “This country is easy. 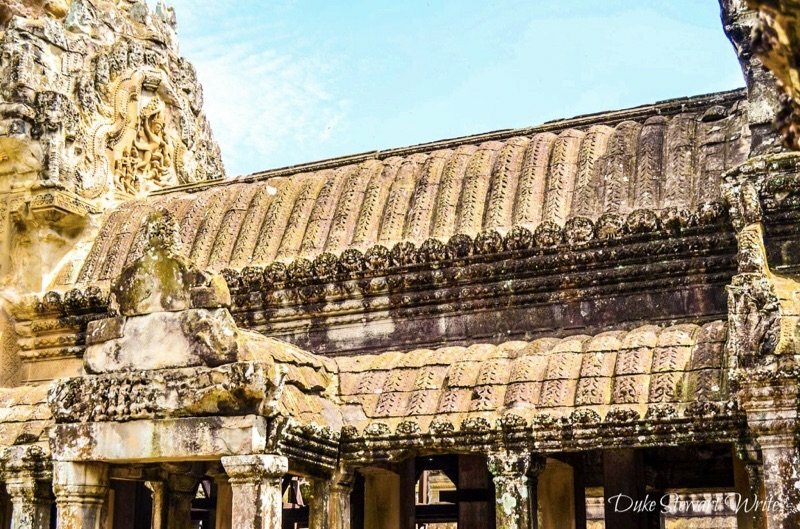 Down there is a country where people still understand life, which sometimes involves doing without.” That one conversation really stuck with me and convinced me to visit Cambodia. 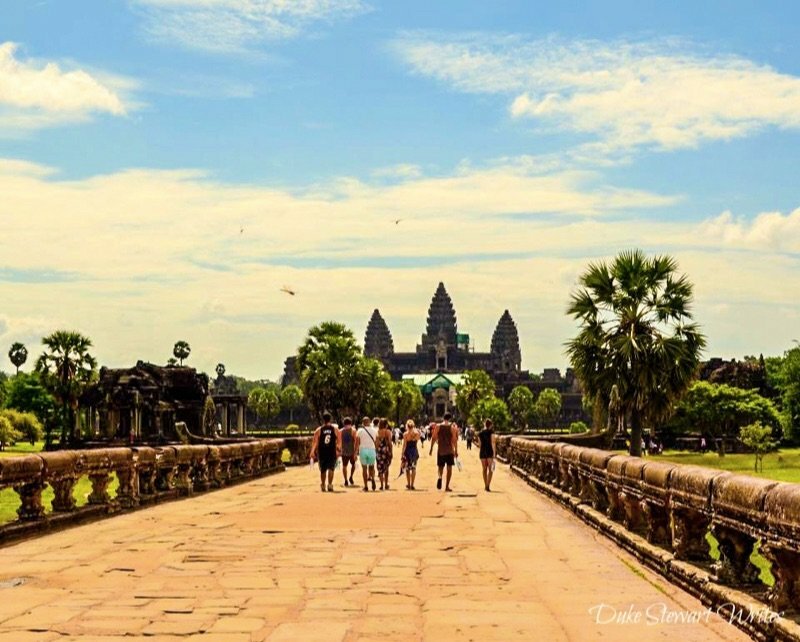 After planning a trip, we went to Siem Reap and Angkor. 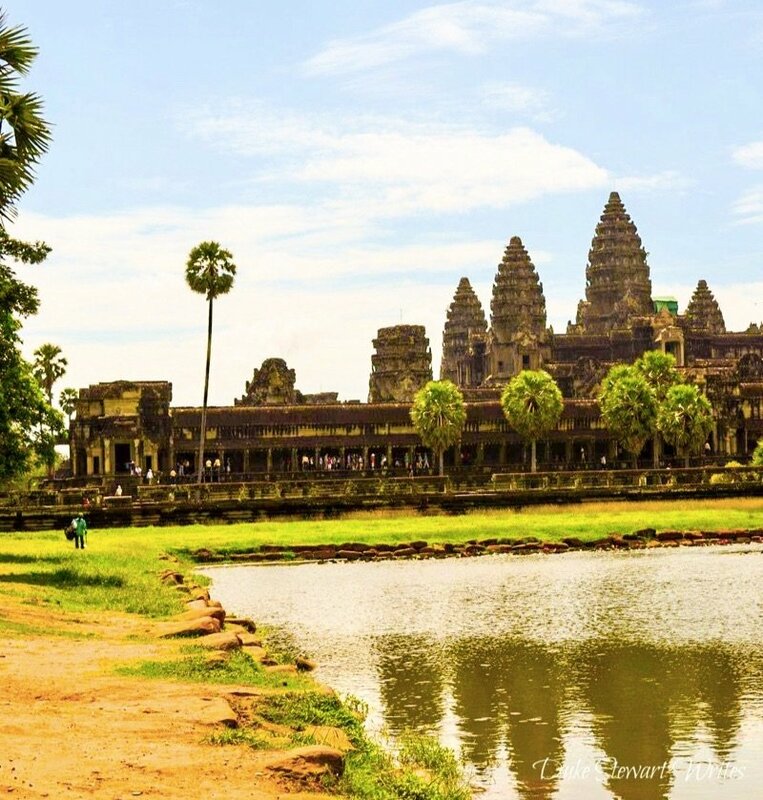 Of course, we just had to include Angkor Wat among our favorite places to visit in Cambodia. We’d be crazy if we didn’t! 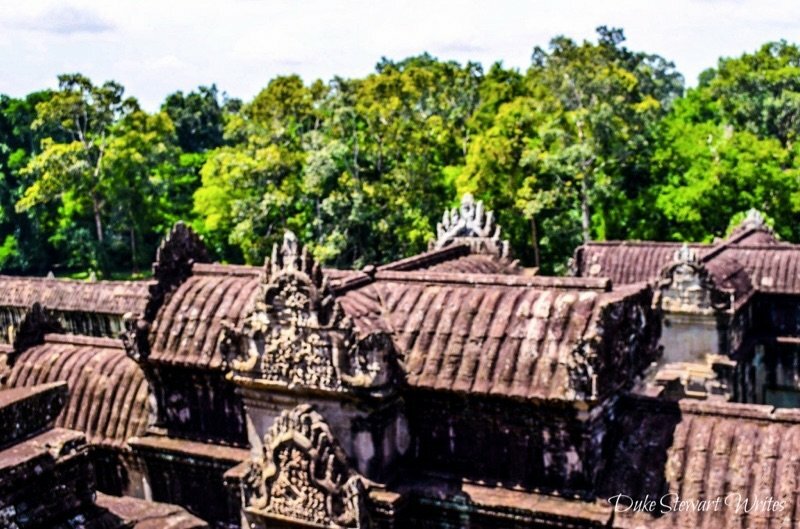 The trip to Siem Reap and Angkor Wat didn’t bring us face to face with life in Cambodia as a visit to other parts of that country would. This was a touristy venture though not tacky. 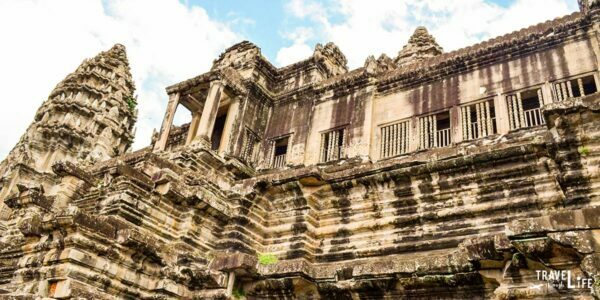 We hadn’t gone with flag-bearing tour groups nor were we taken care of outside of having a driver who took us to various spots throughout Angkor. 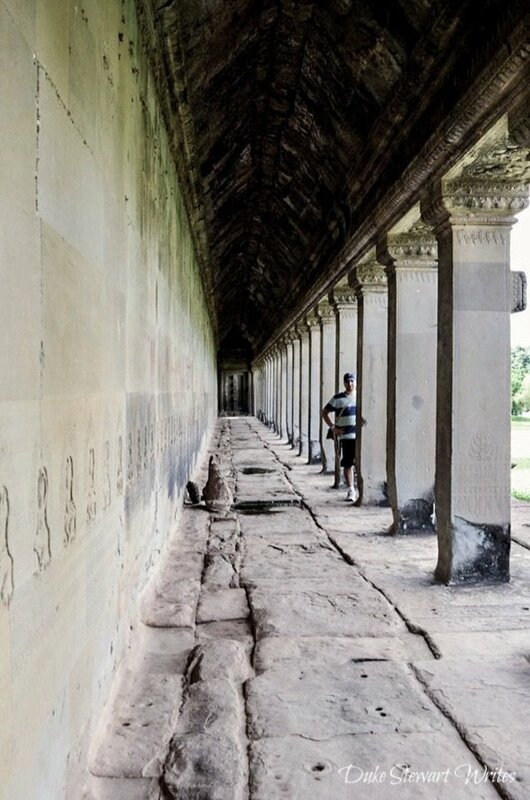 Each morning, I’d read up on the history of each place that we’d visit that day. It’s amazing. There’s so much! After a long day in the heat, we spent our nights having a soak in the hotel’s tiny rooftop pool and having beers on Siem Reap’s pub street. Coming back to Korea, I required some time to recover. 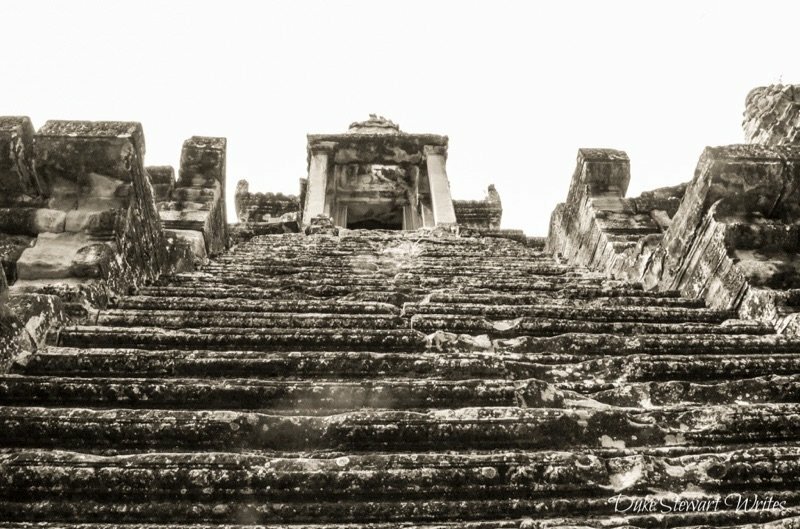 Cambodia’s recent and not-so-recent history had me thinking. How could I and we all miss something like that? It’s such an ignored place. We should all be doing more there. 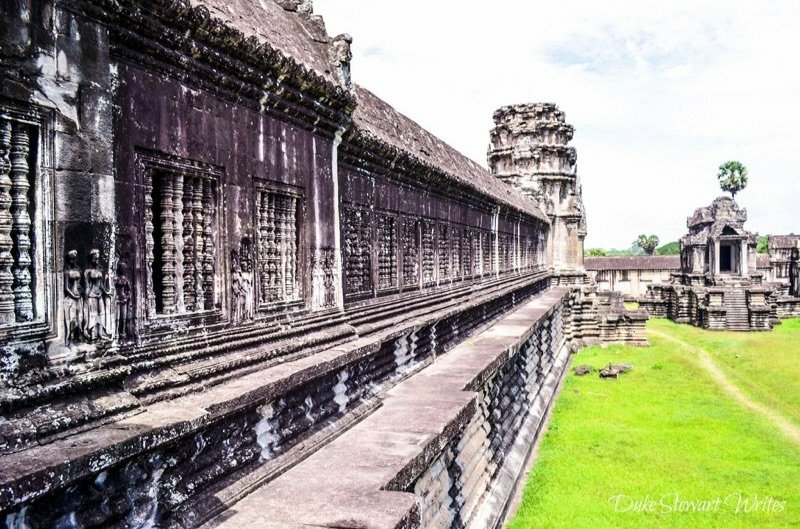 I originally intended to share more than just Angkor Wat photos but as you’ll see, it’s too huge to share with any other site. 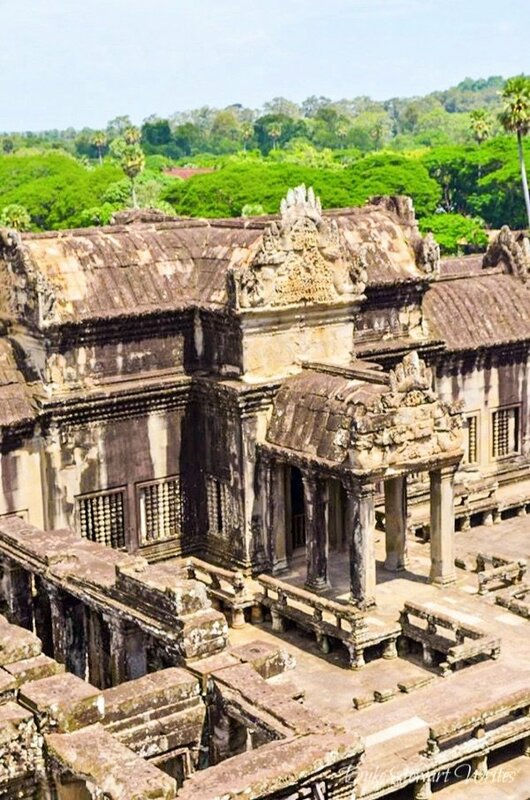 Angkor Wat is the largest religious complex in the world and was first built as a Hindu temple in the 12th century during the reign of Khmer King Suryavarman II. 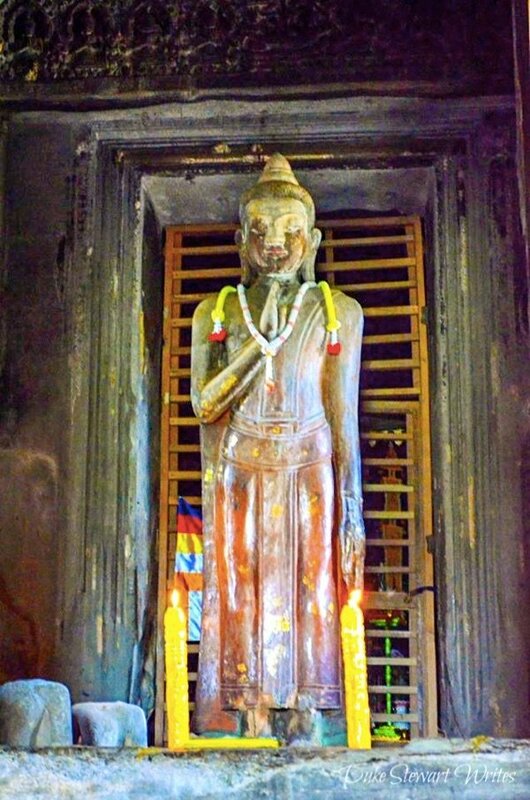 It has since converted to Theravada Buddhism. 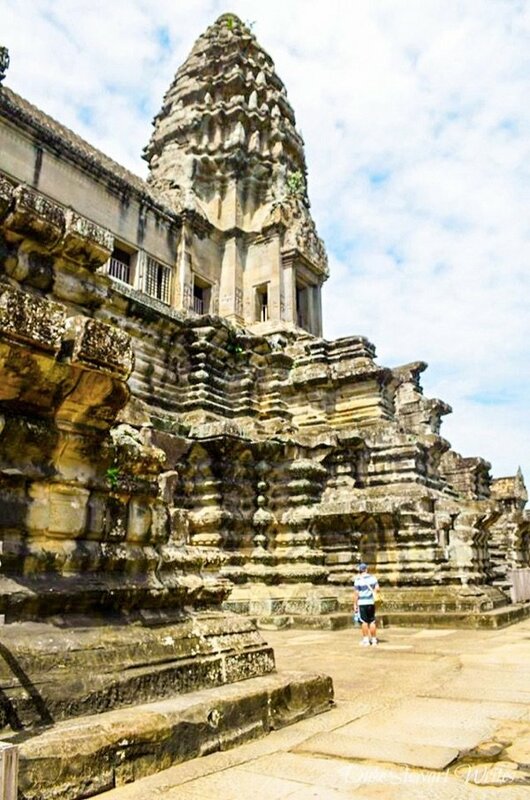 It dominated our second day of touring around temples after a long day walking around some of the Other Angkor Temples. 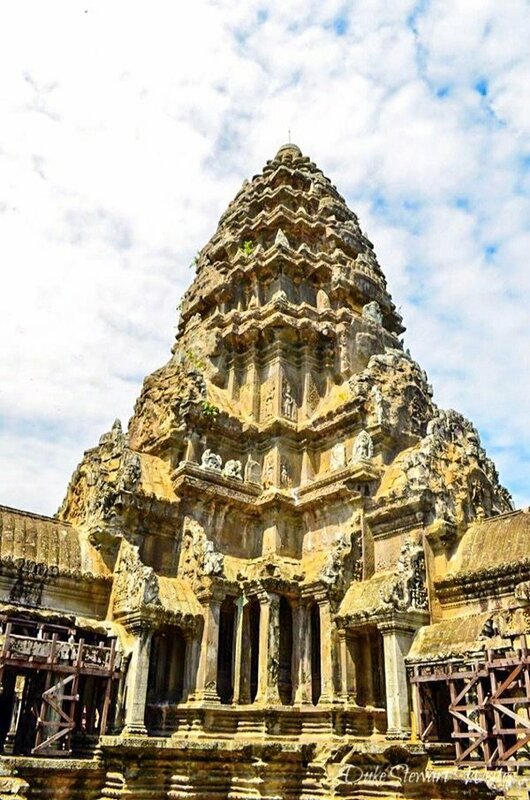 We braved the Cambodian heat and the more annoying tour groups to see this truly fantastic architectural marvel. Most of these notes and descriptions come courtesy of my own scribblings from our time after sessions reading things over in our trusty guide-book and various websites. After 2 years of keeping them and these photos confined to my personal Facebook page, I’ve decided to release them as part of our series that I’ll mention in a minute. Some of them have also appeared here if you’re interested in reading a story along with them. I don’t want to keep you waiting any longer, my friend. 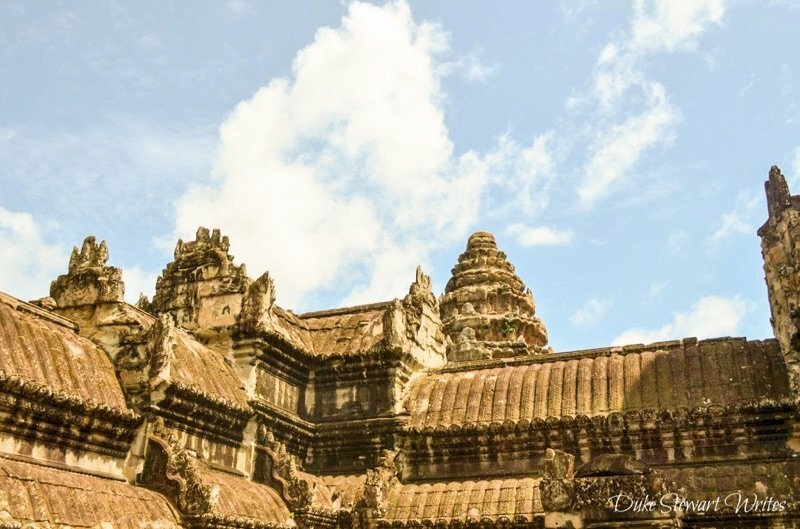 Here are the Angkor Wat photos that I’ve been holding onto for a very long time. 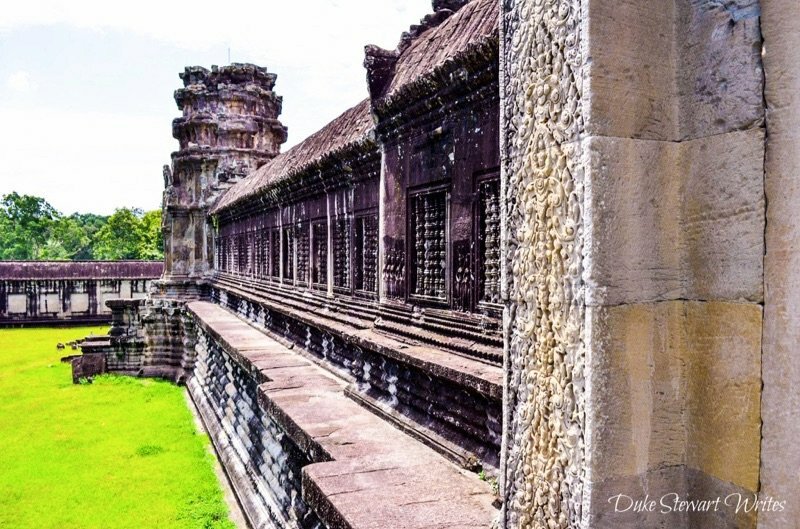 I’ve chronologically arranged the photos and have broken them down by section of the temple, so you can click around from the table of contents at the top. 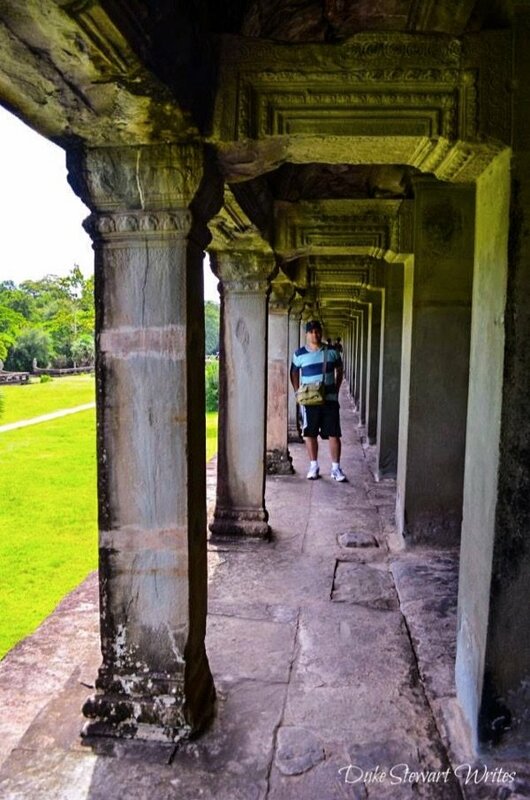 Preparing to walk across the Angkor Wat moat. It’s huge and worth staring at for a while but don’t waste too much time here! 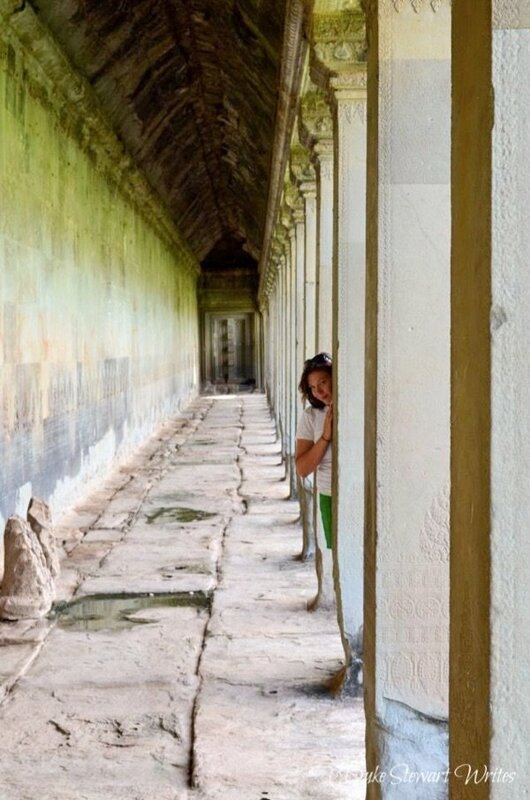 Checking out the main Angkor Wat from the exterior wall. This is one of my wife’s favorite shots from this day. 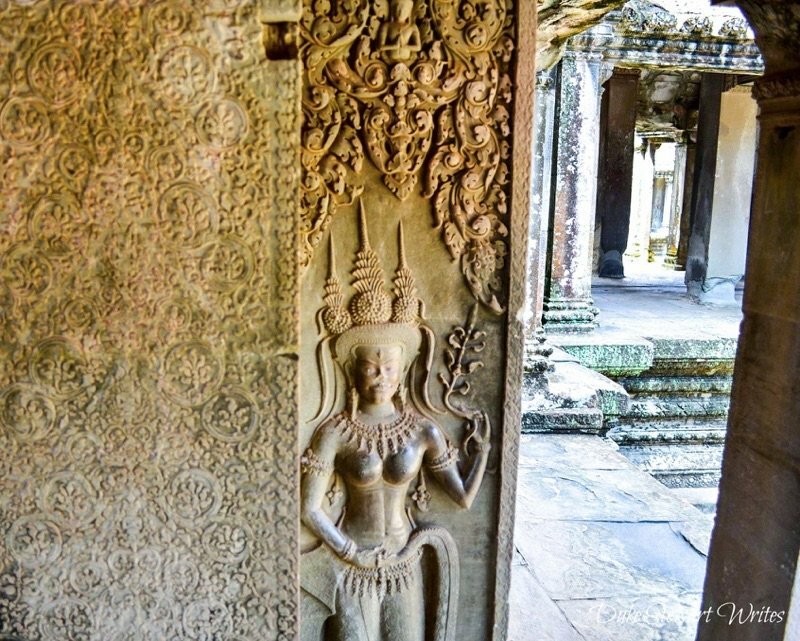 There are so many picturesque doorways in this place. 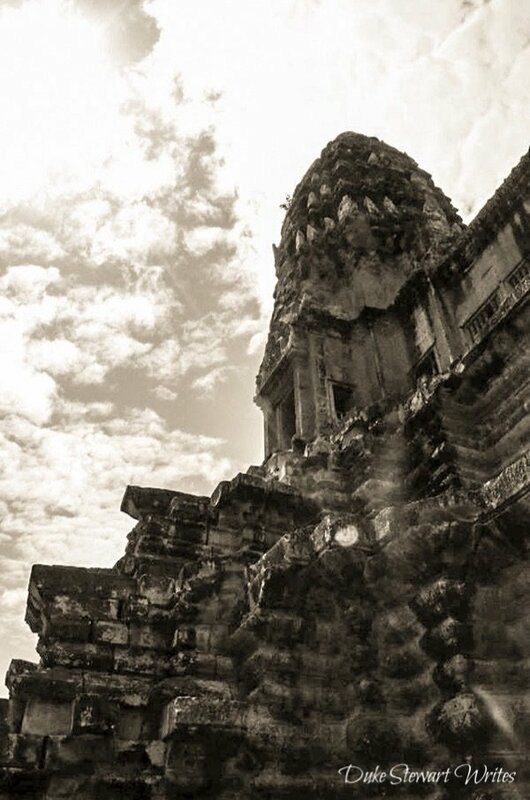 As you can see, it took some time to get to the main Angkor Wat temple but there she is in all her glory. What do you think? 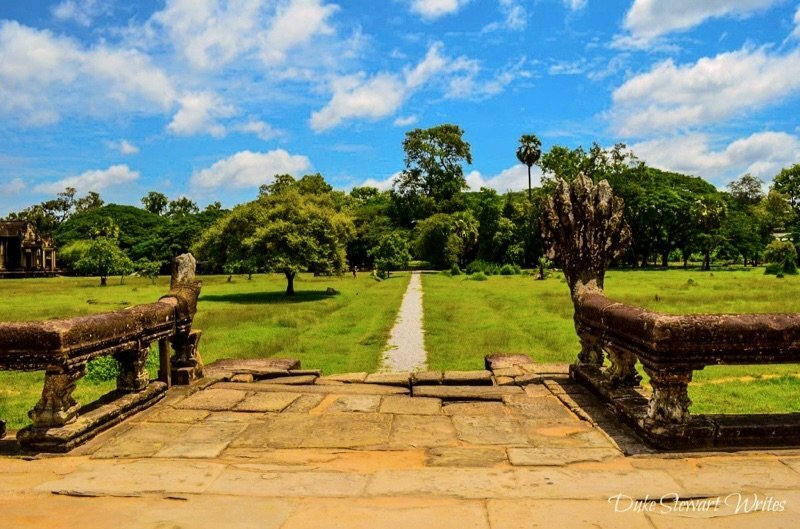 Taken before going inside the Main Angkor Wat temple, facing east. I struggle with this one because it’s out of focus but I’m happy with the contrast between it and the trees behind it. You be the judge. 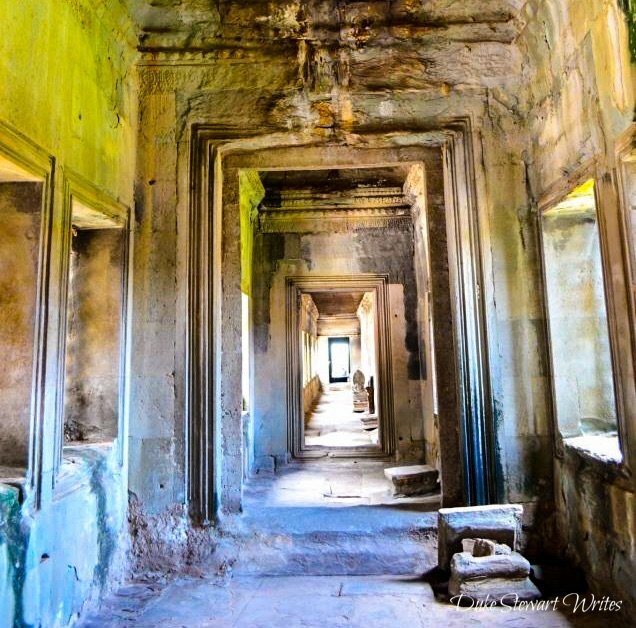 Taken inside the main temple but aimed towards the Angkor Wat main entrance. I always love looking back. What about you? 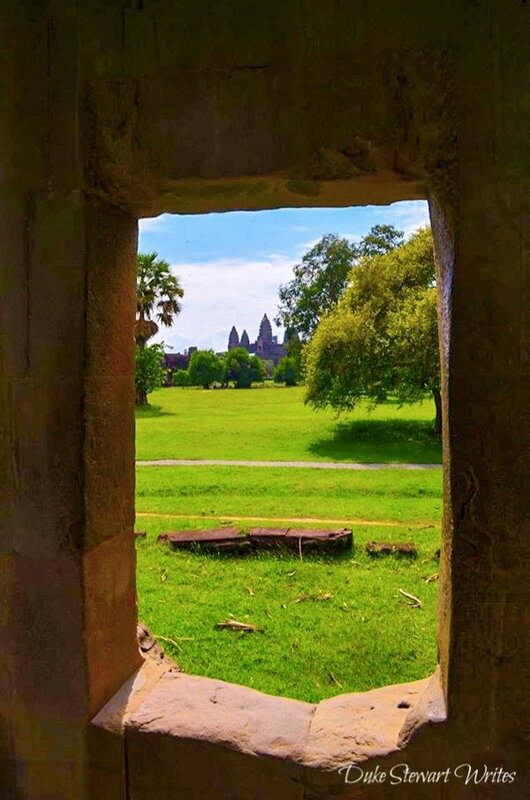 Angkor Wat from the outside. 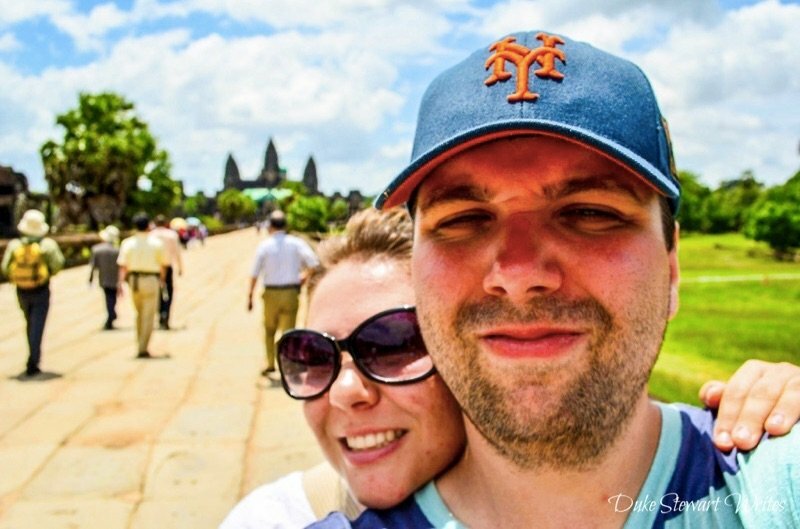 Angkor Wat behind us. These were the days before I realized that sunglasses were essential. My, look at that pink face! 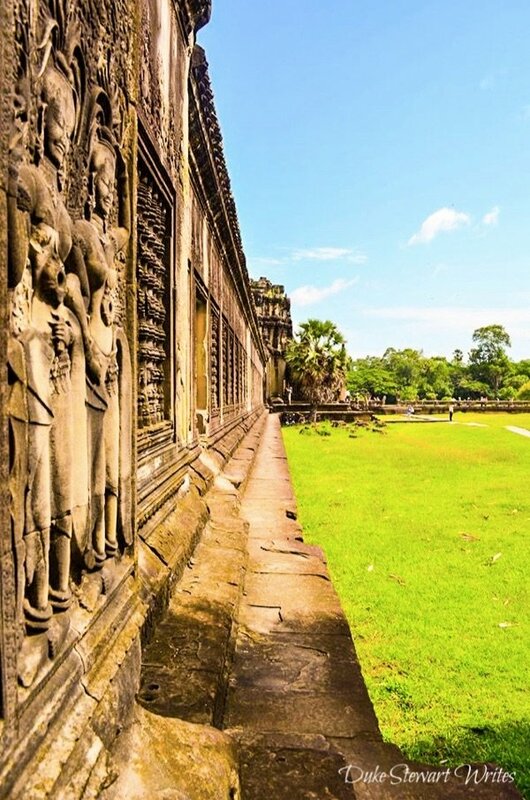 Honestly, you need at least 3 days to get the basics of Angkor. We had this much time and still felt like there was a lot to see. 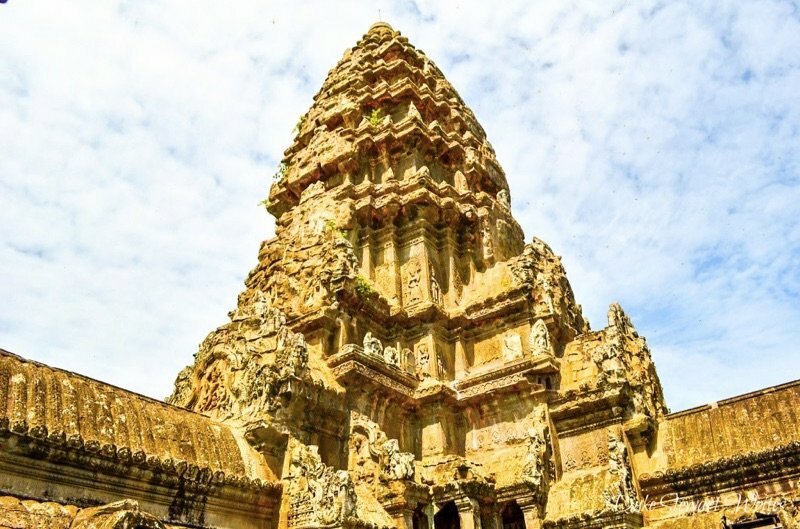 Hire a Tuk Tuk driver through your guesthouse because they’ll be able to find someone who can speak English and guide you around, filling in all the blanks about the temples and their history. Getting an early start but not before the sunrisers, we left each day at around 8:30 and would get back to our place at 5. That seems like a long day but with all the things you’ll see, it flies by. Work out a price with them before or after but honestly, these people work very hard to ensure your time is a good one. 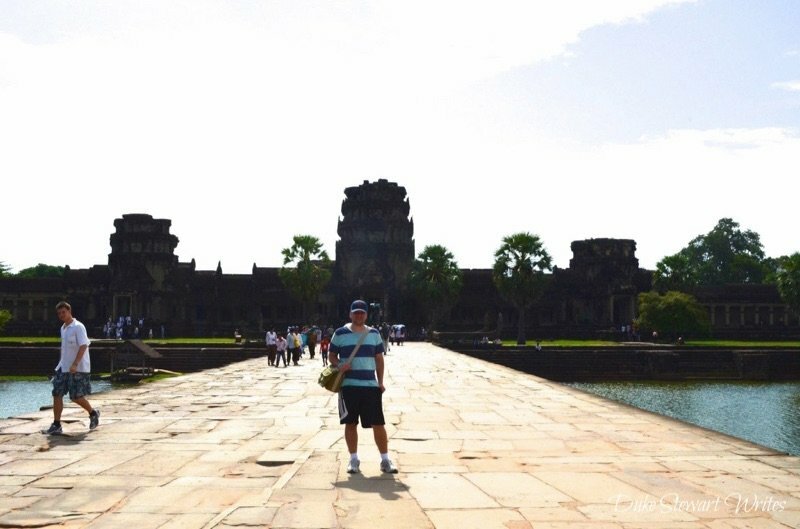 I paid about $60 for 3 full days and with the same guy taking us to and from the airport. It might seem like a lot to pay but what do you have to lose? 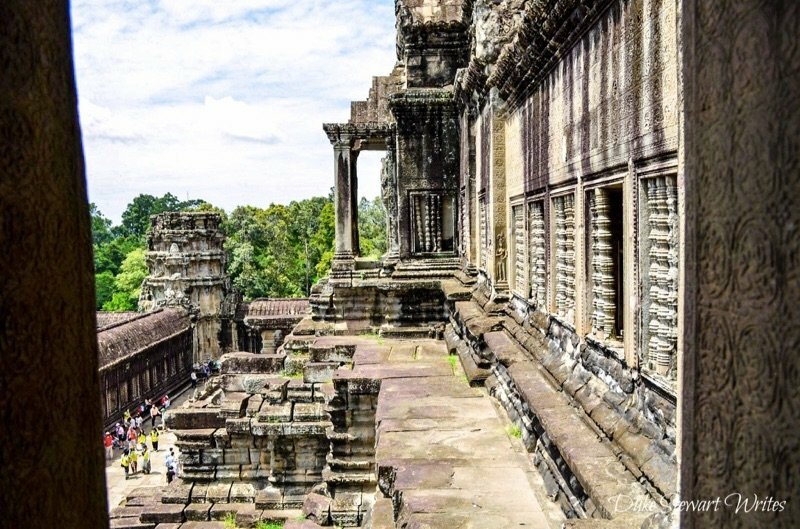 It’s Angkor and I didn’t think haggling was worth it. Let me know if I was wrong. 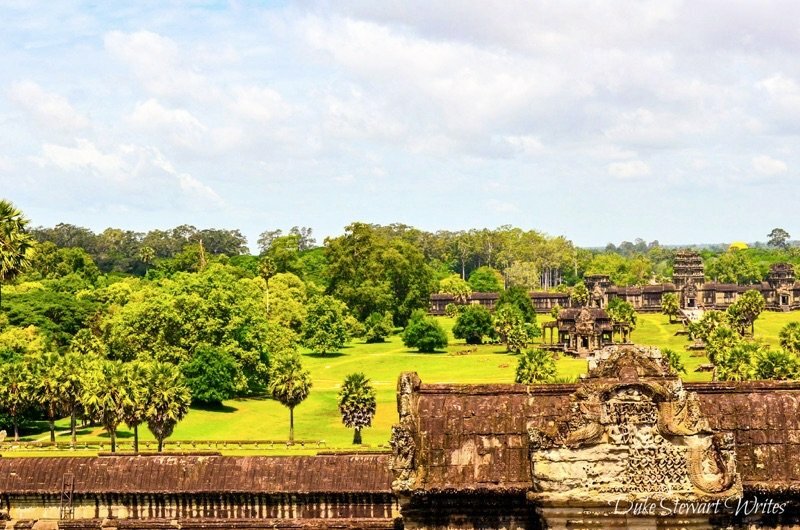 Have you ever visited Angkor? I’d love to hear about your experiences! 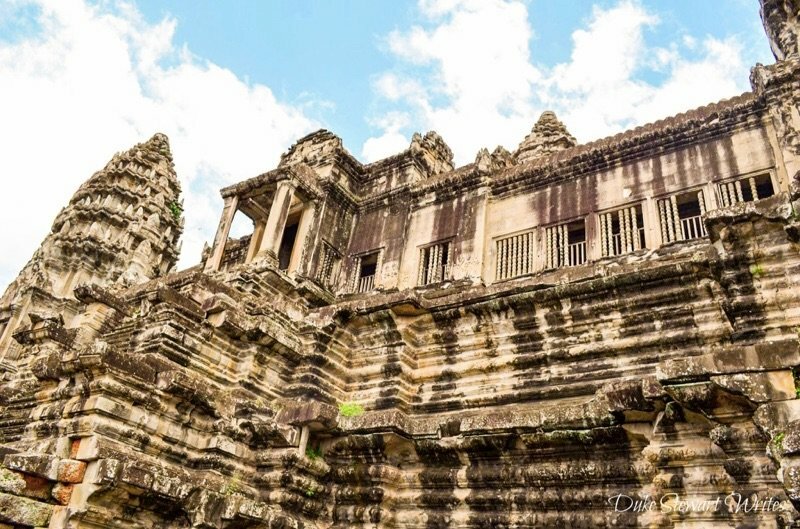 This Angkor Wat travel guide is part of our series on Cambodia Travel and Southeast Asia Travel. It was originally created on May 6, 2014. It has been maintained and updated (as of December 27, 2018) to reflect current viewpoints and travel trends. 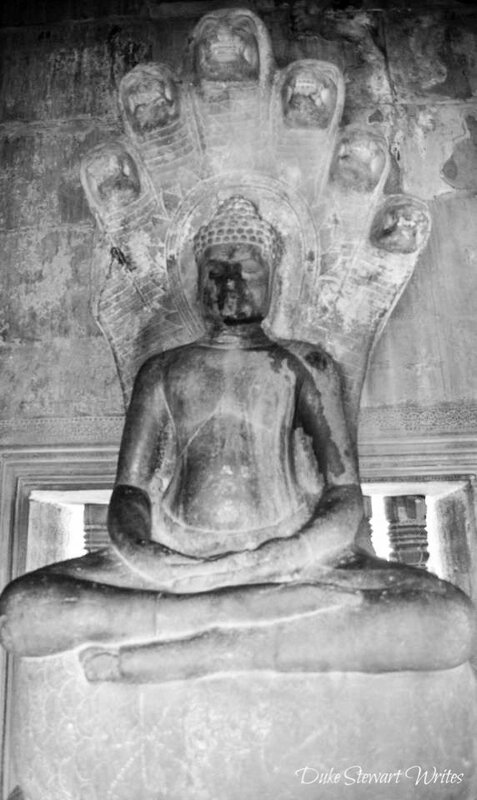 When we went friend lent me an old book that talks you through each site, it’s history, significance and archeology. Reading as we went really made it all the more enjoyable and meaningful. 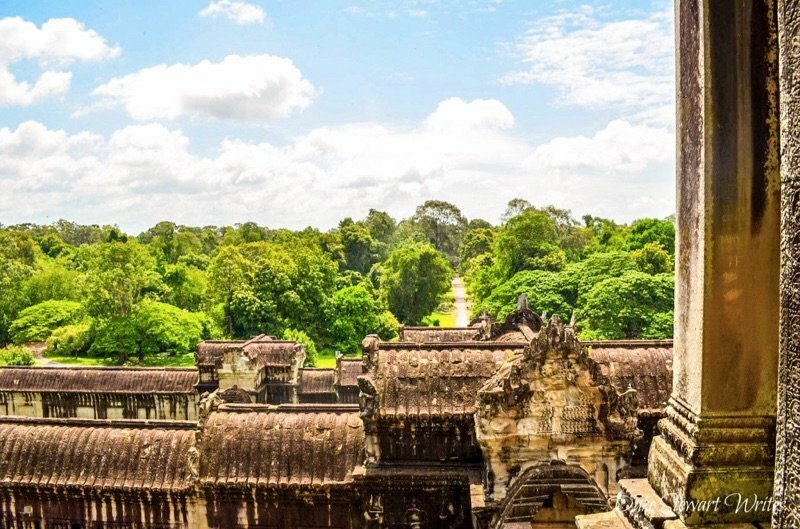 You’re right, a trip to Siem Reap and Angkor Wat barely skims the surface of the country’s culture, history and way of life. I am very keen to visit other parts of the country to learn and experience more. Wow, that sounds like a very cool book! 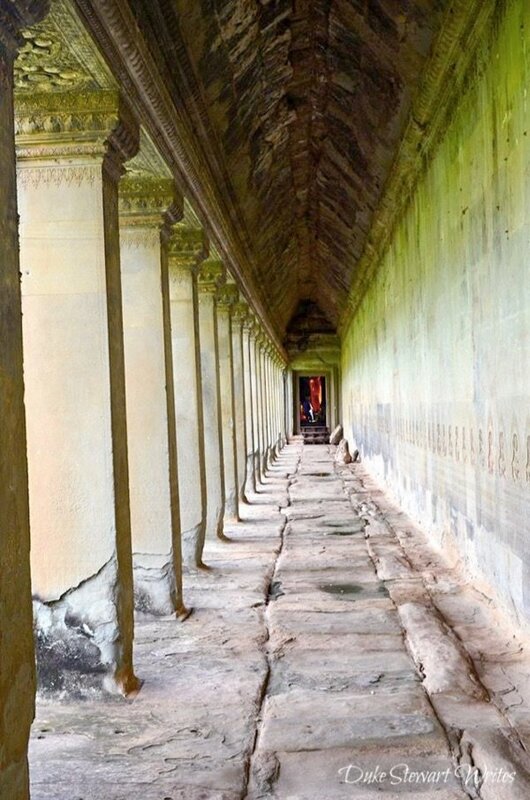 I bet that really enhanced your walks through the temples. 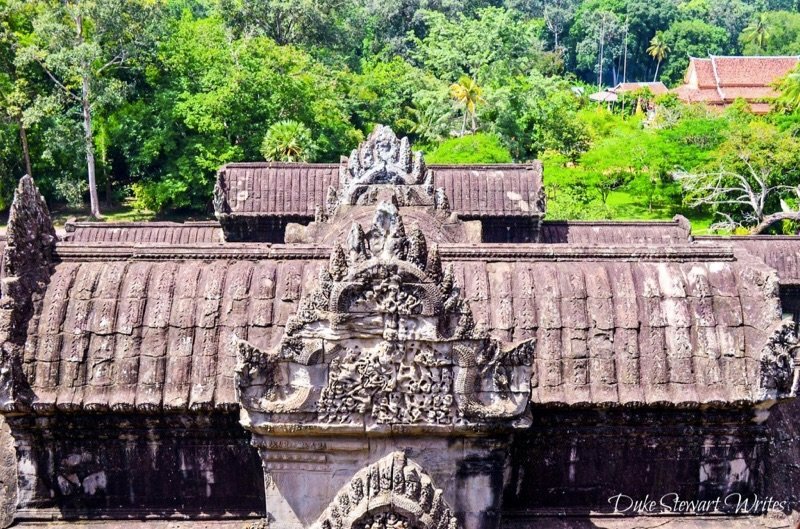 My wife and I went back to Cambodia and spent some time in Phnom Penh, Kampot, and Kep. I have to say it was a bit less exciting but still a wonderful place. 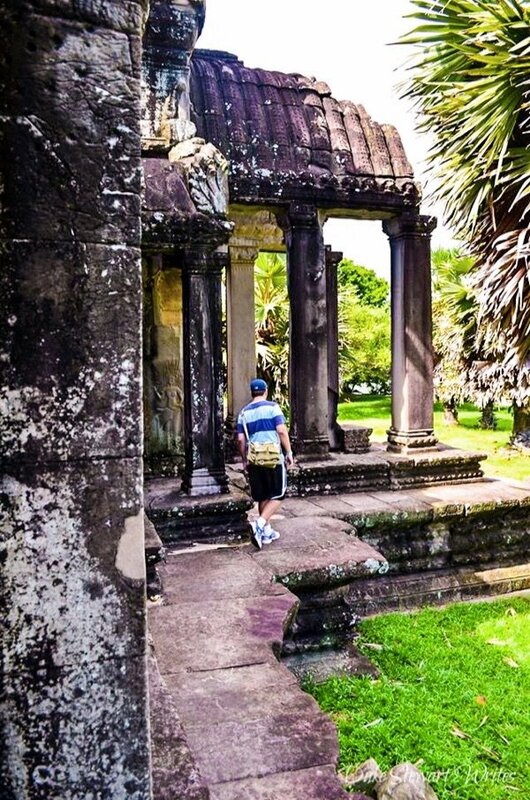 I’d like to go back again and explore the eastern part of Cambodia. That, to me, seems more interesting and mysterious in a way. Any plans for you to go back, Ruth? Thanks so much for stopping by and leaving a comment. I truly appreciate it! VERY NICELY DESCRIBED…AND GREAT PICTURES..